Last week to enter the Middleton Trust runs. 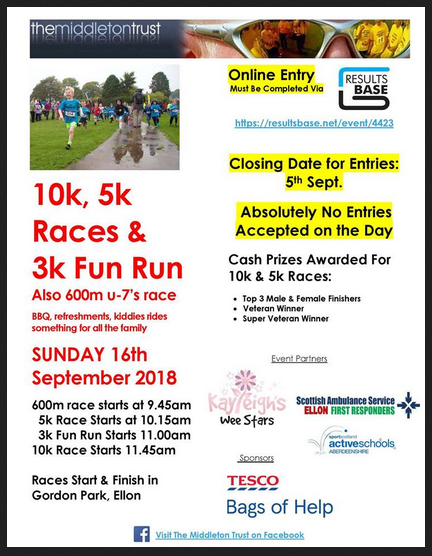 Cash prizes available for 5k & 10k races Various Prizes for 3k including: Age categories, Primary school, Fun teams and Family team as well as a medal for completion. 600m runners also get a completion medal.